If you cannot obey the Holy Spirit or obey the Word of God, your doctrine is false. Your intellect can be sharp, and your talent in expression can be great, but your teaching and your life is a fraud without obedience. who should the Body support? 3rd John 7 because that for his name’s sake they went forth, taking nothing of the Gentiles. 8 We therefore ought to receive such, that we might be fellowhelpers to the truth. True servants of God don’t brag about support they get from unbelievers. Apostle John teaches that congregations should only help and receive ministers that go boldly in the name of Jesus and don’t get financial support for their ministry from unbelievers. What I see in that scripture is a team of ministers that were bold about the name of Jesus. That type of ministry is usually not accepted by unbelievers… until they start believing, which was the point. Not saying you gotta do background checks on every donation. But the point is be bold about the name of Jesus instead of crusading for, or campaigning for, or scheming to raise support from people that don’t believe your message. Preach with boldness and let support come from those that receive the message of Christ. Whose Really Reformed? :: Religious leaders that die for what they believe are of a different spirit than religious leaders that kill others for what they believe. Totally different spirit. 3 John 11 Beloved, follow not that which is evil, but that which is good. He that doeth good is of God: but he that doeth evil hath not seen God. Racism is not the “hatred” of another ethnic group. Many slave-masters loved their slaves even more than they loved their cows, and had a friendlier cameraderie with their slaves than they did with their dogs. Racism is not always hatred. Racism is agreeing with and profiting from a system that was designed to separate and control people based on their sorcery-defined ethnic caste. God is not okay with it, and He will judge it whether you like it or not. Period. Very simple to understand. Tithe does not mean food. It means ten percent. Tithe is a numerical word. It’s a number word. It means tenth. What are the main biblical words are used for giving to the priesthood or to God? “Tithe” provides a Guide Line for the general AMOUNT we give. “Firstfruit” provides a Guide Line for the ORDER in which we give. “Offering” provides a Guide Line for the HEART ATTITUDE with which we give. If someone decide to keep all his money for 30 years and then give God the last 10 years of his salary… Gods wisdom gave us a word called “firstfruits” prevent him from giving God his lastfruits. If someone decided to give God a tax at the end of every year… Gods wisdom prevented this because He asked for a “free will offering” instead of a tax. These are all Guide Lines. Not tools for condemnation, but Wise Guidelines. God leads us individually by His Spirit, but He also leads us by His Wisdom. I thank God for giving us Wisdom and Guide Lines! They help us understand how His Design WORKS! God is a Master of Assembly aka Chief Engineer. Everything He designed is with wisdom. Everything He designed works perfectly at what it was designed to do. He designed pork and shrimp to be the bottom feeders, and they are unclean. When He says not to eat those animals, it’s not because He doesn’t like you… He’s not going to hit you when you eat bacon. It’s because He understands HIS design better than you do. He knows that His design works, and He knows how it works. God is smarter than we are. When you follow God’s Wisdom Guide Lines, or Principles, or Laws, you will find that they actually work. That’s what He has designed them to do. THEY WORK FOR WHAT THEY ARE DESIGNED FOR. God is smarter than us and He knows how finances work better than we do. God doesn’t condemn you if you give more or less than 10%. It is a simply a guideline that works to do exactly what God designed it to do – make His kingdom grow. Is there still a priesthood to give tithes, offerings, and firstfruits too? Yes, in Christ we are all priests. So we give to the Assembly of Saints, and the Overseers distribute this money according to who has need, and according to the purpose of Gods Congregation: the teaching, the worship, the poor, and the administration. This is not just an Old Testament thing, this is seen clearly in the book of Acts, and it was led by the Holy Spirit. 1. Congratulations on your suffering for Christ. If you don’t back down you will be rewarded! Acts 5:40 And to him they agreed: and when they had called the apostles, and beaten them, they commanded that they should not speak in the name of Jesus, and let them go. 41 And they departed from the presence of the council, rejoicing that they were counted worthy to suffer shame for his name. 42 And daily in the temple, and in every house, they ceased not to teach and preach Jesus Christ. 2. Welcome to the kingdom of God, where have you been? Why are you surprised? Acts 14:22 Confirming the souls of the disciples, and exhorting them to continue in the faith, and that we mustthrough much tribulation enter into the kingdom of God. John 15:19If ye were of the world, the world would love his own: but because ye are not of the world, but I have chosen you out of the world, therefore the world hateth you. 1 John 3:13Marvel not, my brethren, if the world hate you. 3. Stop trying to do ministry work with people that hate God, then they won’t be able to destroy you. 4. Instead, start doing what Jesus did. Preach repentance to all, cast out demons, heal the sick and broken-hearted. 5. 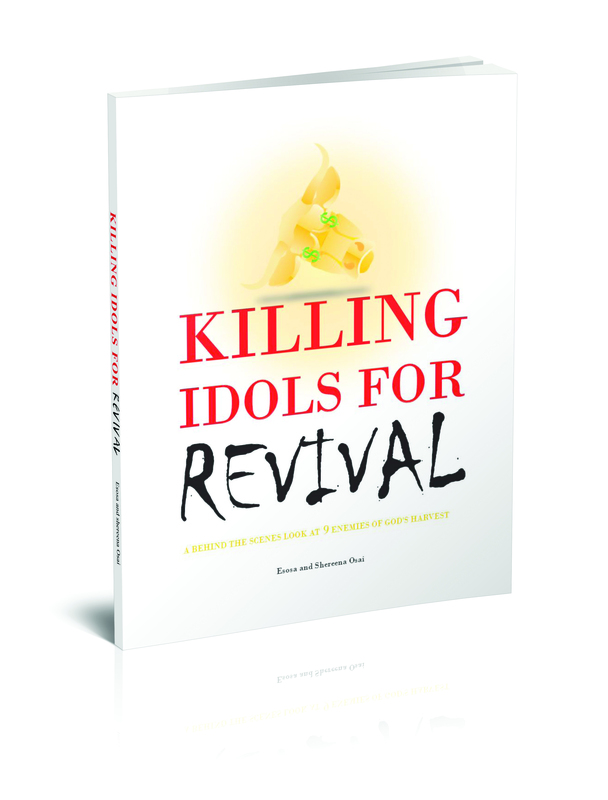 Give your gifts to God in worship and stop looking for fame by partnering and promoting the wicked. 1 Timothy 5:22 Lay hands suddenly on no man, neither be partaker of other men’s sins: keep thyself pure. 2 Corinthians 6:14 Be ye not unequally yoked together with unbelievers: for what fellowship hath righteousness with unrighteousness? and what communion hath light with darkness? 15 And what concord hath Christ with Belial? or what part hath he that believeth with an infidel? 16 And what agreement hath the temple of God with idols? for ye are the temple of the living God; as God hath said, I will dwell in them, and walk in them; and I will be their God, and they shall be my people. 17 Wherefore come out from among them, and be ye separate, saith the Lord, and touch not the unclean thing; and I will receive you. 18 And will be a Father unto you, and ye shall be my sons and daughters, saith the Lord Almighty. 6. Learn to prioritize passion and compassion. Passion is suffering for Christ. Compassion is “suffering with” humans. Put your passion for Christ first, then you will be able to walk in true compassion for humans… Then you will be able to heal and deliver homosexuals and ANY sinner who has a desire to turn away from their sin.